Terraced bluestone steps leading to a large pool area. 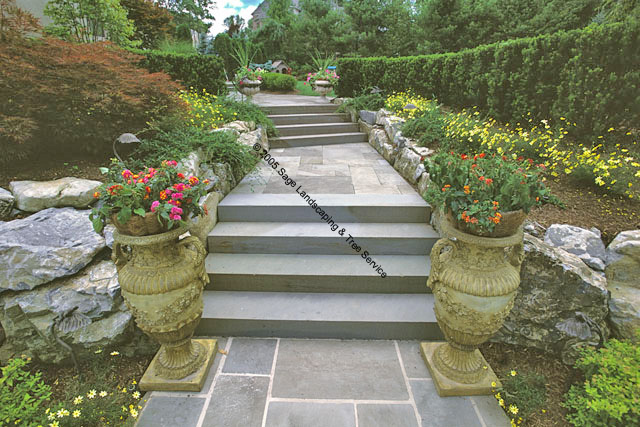 The steps are bordered on either side by natural stone boulders, flower beds and privacy hedges. .